Susan Lader is the Resource Specialist at LBJA. She has a Bachelor’s and Master’s degree in Special Education. Her role is to assist the teachers in differentiating the learning styles of the students in order to achieve optimal success. She works with small groups, one-on-one, and the entire class. 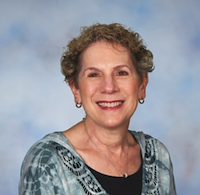 Susan has taught for 35 years in Philadelphia, Boston, Reno and Rockville.